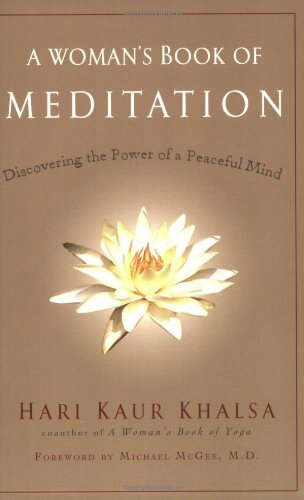 Deepen your understanding of yoga and meditation with our books and products. Interest in yoga is at an all-time high, especially among women. 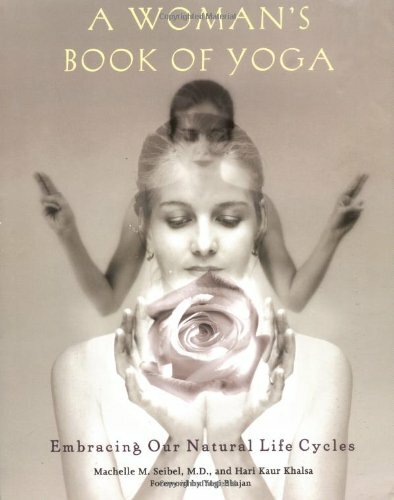 Whether readers wish to begin the practice or are already involved in yoga, this innovative book will help them understand the unique benefits yoga provides for a woman's health and mental well-being. The authors lead women of all ages through the health and life cycles specific to females by illustrating the spiritual and physical advantages of Kundalini yoga, as taught by yoga master Yogi Bhajan. Hari Khalsa applies ancient wisdom to explain how to determine and enhance one's own special relationship with the mind, body, and soul. Using his expertise on women's health issues, Dr. Siebel reveals the scientific basis for yoga's positive effects on the brain. Together, Dr. Siebel and Hari Khalsa create a dialogue of spiritualism and science, elucidating how every woman can reap the rewards of yoga for a lifetime. Internationally renowned meditation teacher Hari Kaur Khalsa knows well the whirlwind stresses and strains placed on women today. Through the secrets of ancient Kundalini chanting and meditation techniques, women will find peace amid all the chaos, develop their creativity, and hone their inner wisdom. In addition, Hari Kaur discusses seven steps to achieve happiness and how to use meditation to build a spiritual identity. Her meditations are presented in the original Sikh as well as in English translation. And the easy-to-reference format will keep the reader returning again and again as she grows through meditation and in her daily life.